Health Security 2019: Ready to Roll! "I think Health Security Act is top of the list. I think that will certainly be able to pass the House. We're going to have a governor supporting that as well, which will be exciting." We have a new city/county on board! On November 13, the Los Alamos County Council (the City of Los Alamos and Los Alamos County have a joint governing board) voted 5-0 to pass a resolution supporting the Health Security Act. Approval was bipartisan, with 4 Democrats and 1 Republican casting votes in favor of Health Security. Watch the discussion here (Health Security begins at 1:13:45). 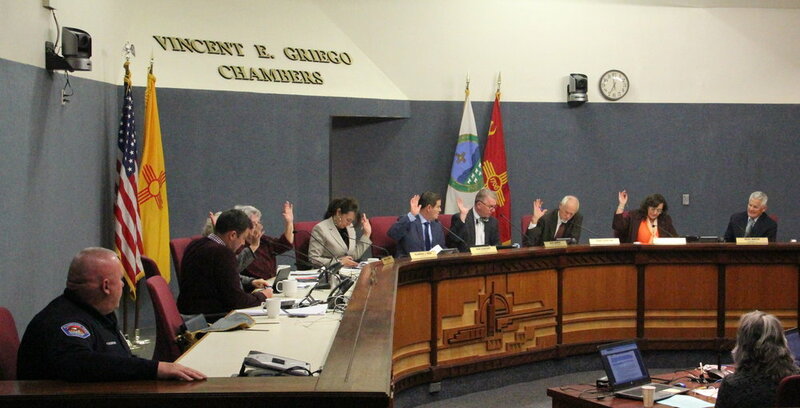 The following week, on November 19, the Albuquerque City Council renewed their commitment to the Health Security Act, unanimously passing a resolution in support. The vote was 9-0 and bipartisan, with all 6 Democrats and all 3 Republicans voting in favor of the Health Security Act. For a full list of cities and counties that have endorsed the Health Security Act, click here. On November 18, the Albuquerque Forum on Faith and Politics hosted a panel on the Health Security Act at St. Andrew's Presbyterian Church. Over fifty people attended, and more were able to watch the live stream from their homes. Watch a video of the forum here. For a full list of Campaign member organizations, click here.